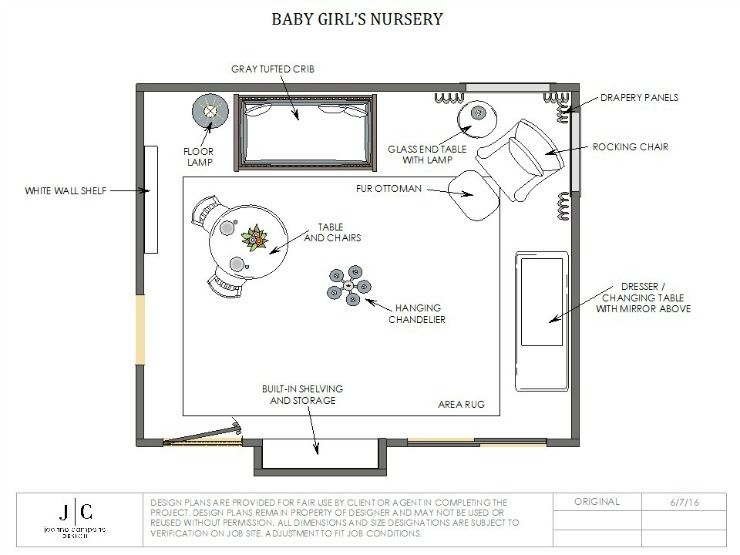 Sophisticated nurseries are on trend for 2017 and our goal for this nursery was to create a functional baby friendly space with a chic and modern adult sense of style. After all, soon to be parents will spend just as much time in this space as their newborn. If you follow me on Instagram and Houzz, I posted a few photos of this beautiful space and I am so excited to finally share with you the full reveal. 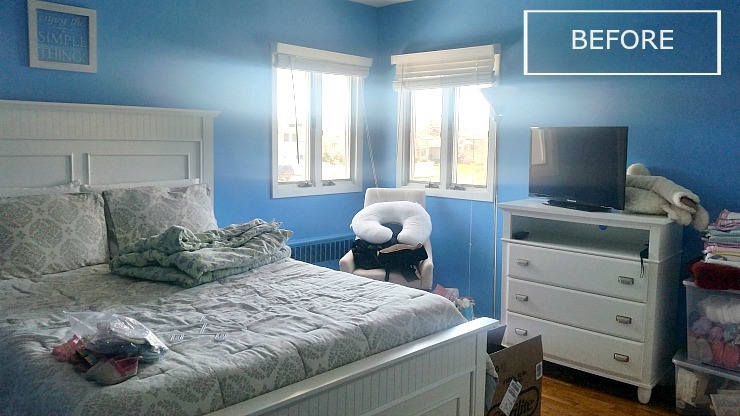 First, let’s take a look at this room before the renovation. I love space planning and we wanted to make sure this new baby had plenty of space for both sleep and play. In order to maximize the small space, which was once the family’s guest room, we started with a neutral white color palette. The addition of architectural millwork to the lower half of the walls instantly gave the space dimension and character. 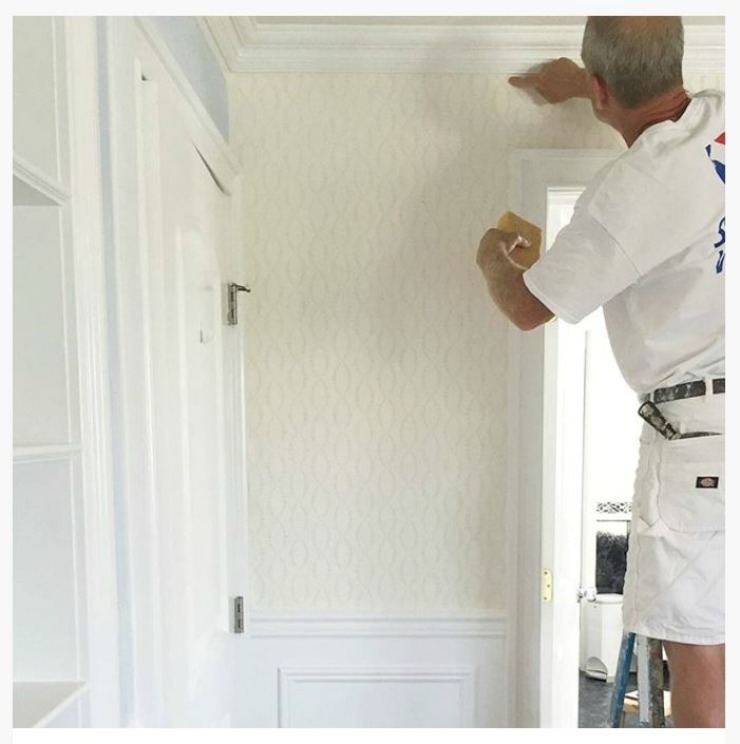 We then added bright beaded wallcovering from Thibaut and it was the perfect backdrop. Once it was installed, the walls glistened like the inside a jewel box. 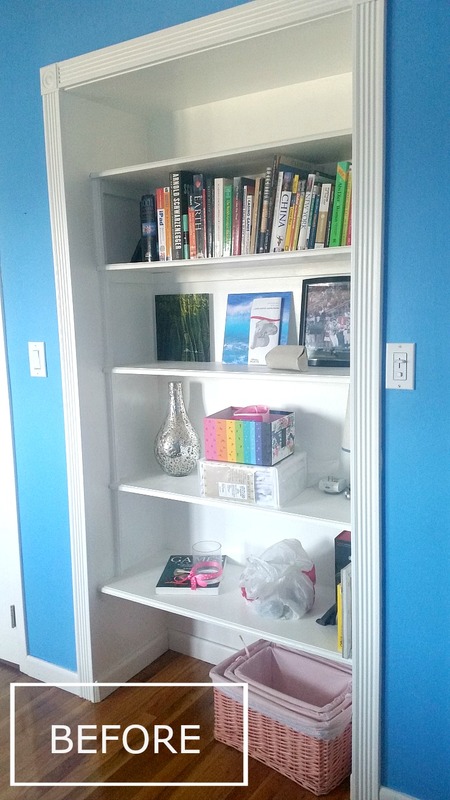 We also re-worked their existing built-in bookcase to provide additional storage and display space. Cynthia’s inspiration was a lovely lavender color which we injected throughout the space. We added lots of warmth and interest using cozy textures found in the wool area rug, woven baskets, furry accents and a linen upholstered crib. 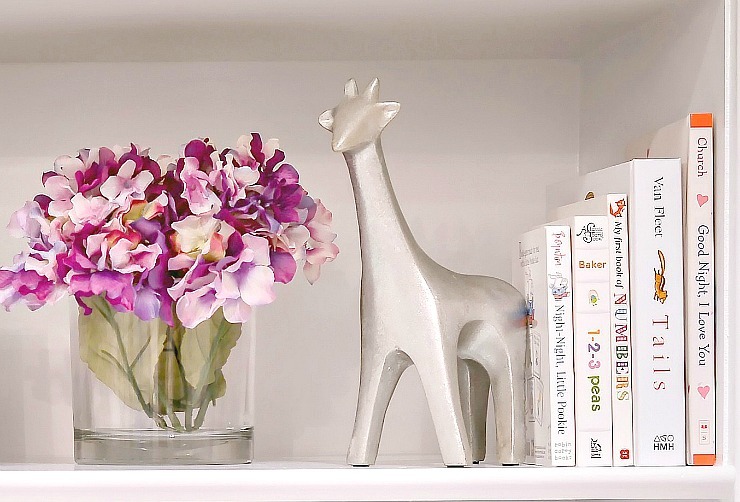 When sourcing furniture for a nursery, it is important to invest in pieces that will grow with your baby. I’m obsessed with timeless pieces. This crib designed by fashion designer Monique Lhuillier was the perfect choice. With fluted post and turned legs in a pale gray color, along with easy to clean tufted linen upholstery, this beautiful crib had clean lines and sophisticated designer details. 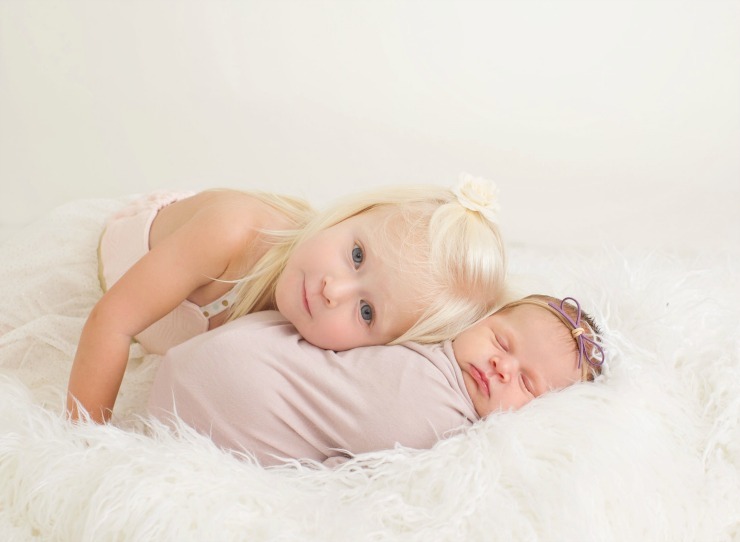 The dresser is a classic piece that will grow with Everly as she gets older. An existing comfortable chair, perfect for rocking, nursing and reading, completes this quiet corner of the nursery. 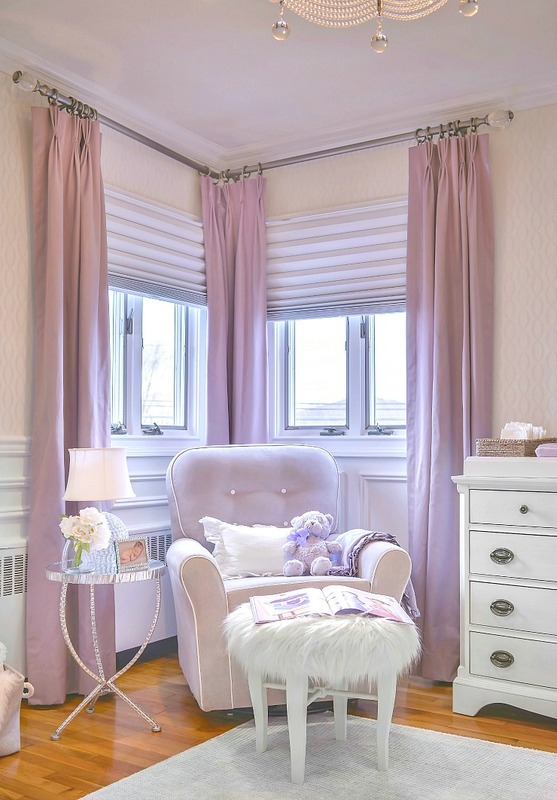 The addition of full length drapery panels dressed up the windows and elevated the nursery’s style. OMGosh, where do you find all this AMAZING stuff?! Your design style is impeccable… this space is absolutely stunning. The family must be thrilled!! !